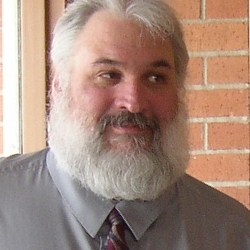 Michael Williams is an author, writer, editor, and web page designer. His early professional background includes electrical, computer and test engineering, real estate investment, network engineering and management, programming, and he was once a remodeling company owner. "Until you get your hands dirty, you haven't lived." As a writer, I use the pen names of Michael Logan, Michael James Logan and MJ Logan. My history with words predates kindergarten. I remember my excitement the first time I went to school and then my total disappointment to learn they didn't teach reading until first grade. In third grade our teacher showed us how to make little booklets out of loose-leaf paper. I was prolific and created little books about everything I read, saw, or imagined. More than twenty years ago, my employer asked me to write and submit a white paper to a trade magazine. Much to my surprise, they published it and I realized my passion for words had taken a new turn. I haven't looked back since that first publication and published countless newspaper articles, editorials, articles, blogs, posts and all forms of web content. My work appears in everything from real estate brochures to technical manuals to how-to articles, both in print and on the web. If you need written words, you've found someone with a passion for writing them.